Click cottage name for details. You also may find it helpful to look at the SITE PLAN to determine the location of each cottage. At Wandawood you can choose from 15 housekeeping units, ranging in size from our smallest one bedroom units (the Ventures), accommodating four people, to Wandawood Hall, our large three story home with five bedrooms, accommodates up to 18 people. 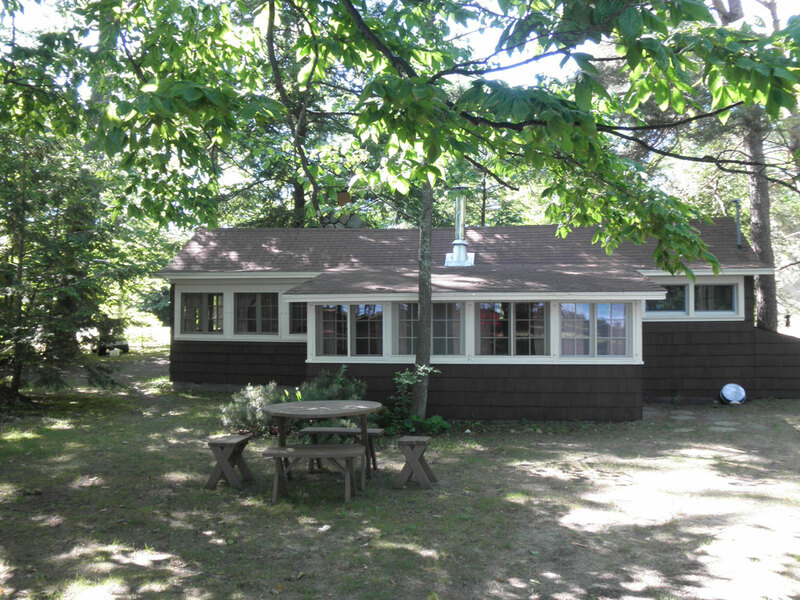 Each cottage includes a complete kitchen and bathroom. Firewood is supplied for cottages with wood stoves or fireplaces. Blankets and pillows are provided, with renters bringing their own sheets and towels, except at Oak Leaf, where everything is included. 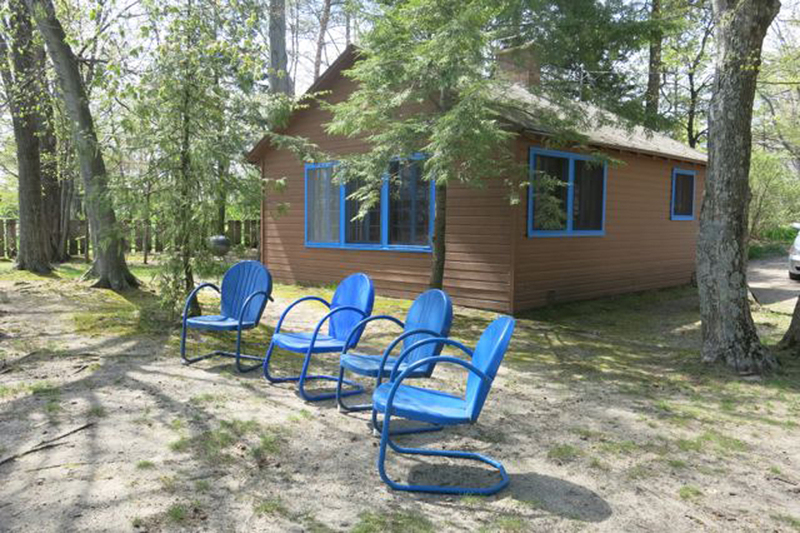 Twelve of the cottages are located along our 1,000 feet of Elk Lake frontage. 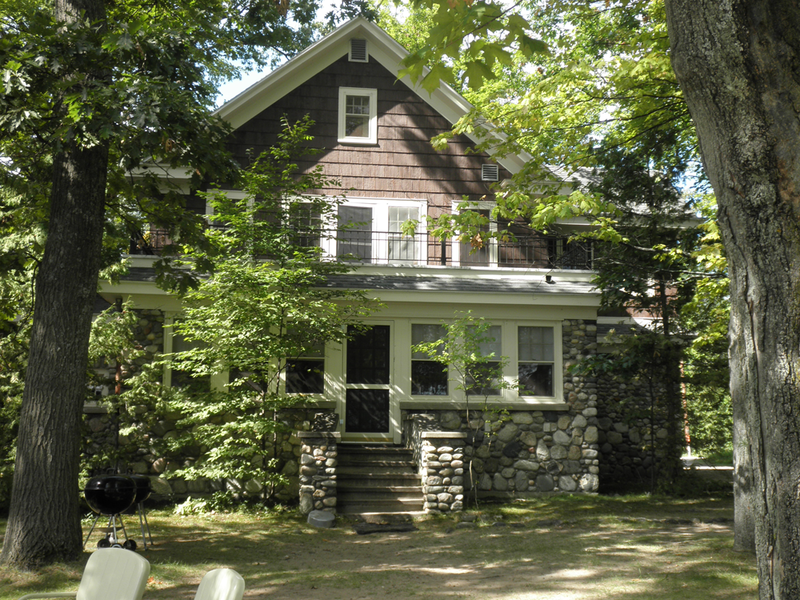 Three cottages, Postscript, Cheerio and Orchardside, are across Wandawood Lane from the lake, but have lake views and full lake and beach access. Nine staircases, located in front of each of the lakefront buildings, provide access to the beaches and docks. The seven units to the south of the Wandawood Office include six duplexes and one single cottage, all built for resort usage in the 1930s. These cottages are rustic in character, although the kitchens and baths are updated. Upper Story is an apartment style unit located on the second floor of the building housing the Wandawood office. A private entrance to this unit is provided and the living room faces Elk Lake, featuring a picture window and fireplace. Brownie, Pioneer, Postscript, Cheerio, and Orchardside are all single units and were part of the old Wandawood Farm, which preceded the development of the resort. In the late 1920s and 1930s these buildings were converted to cottages and each one has a special charm and character. Wandawood Hall was built as a family residence in 1924, but has been used for spacious resort accommodations since the late 1920s. This building is ideal for large groups and is equipped with a commercial style kitchen, two fireplaces and three baths. Oak Leaf was completed in 2002 and offers deluxe features and spacious rooms. 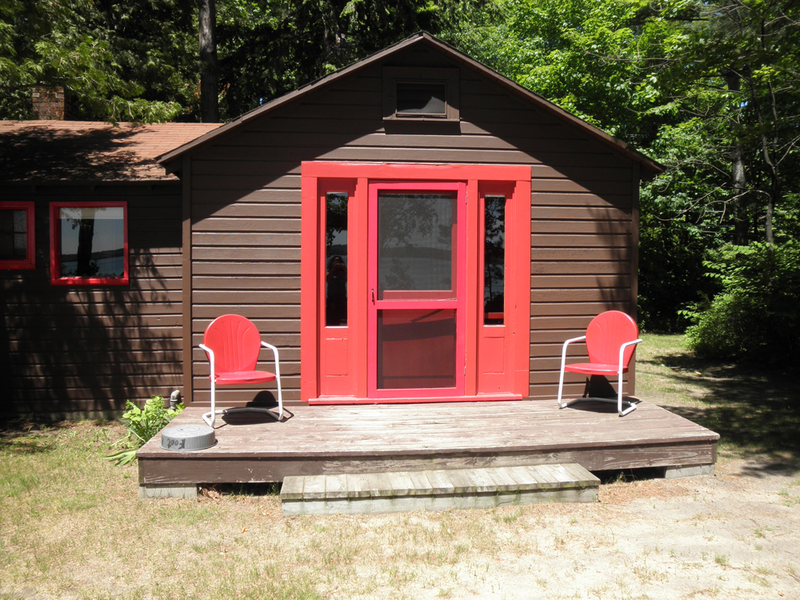 Heat, air-conditioning and cable TV are included. The great room features a field stone fireplace. The basement includes two Ping-Pong tables and a washer and dryer.